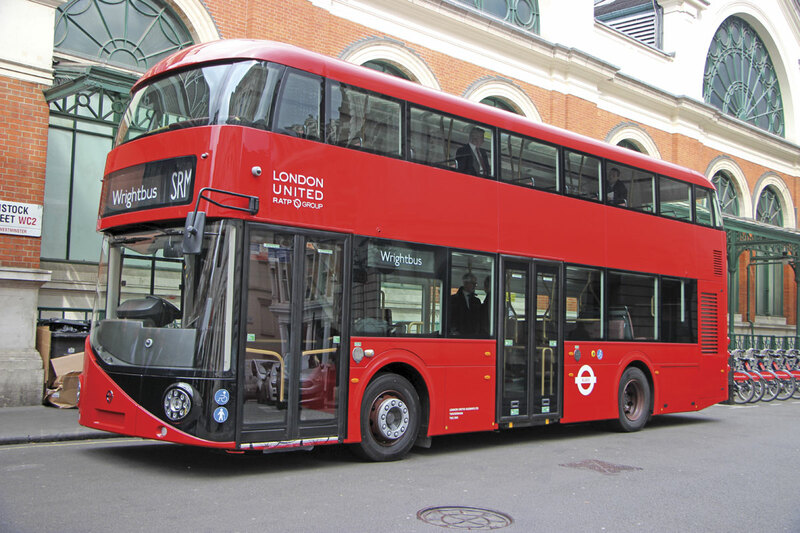 Seldom have so many new bus designs for London appeared in short succession, no doubt prompted by the capital’s heightened need for replacement vehicles over the next two years. 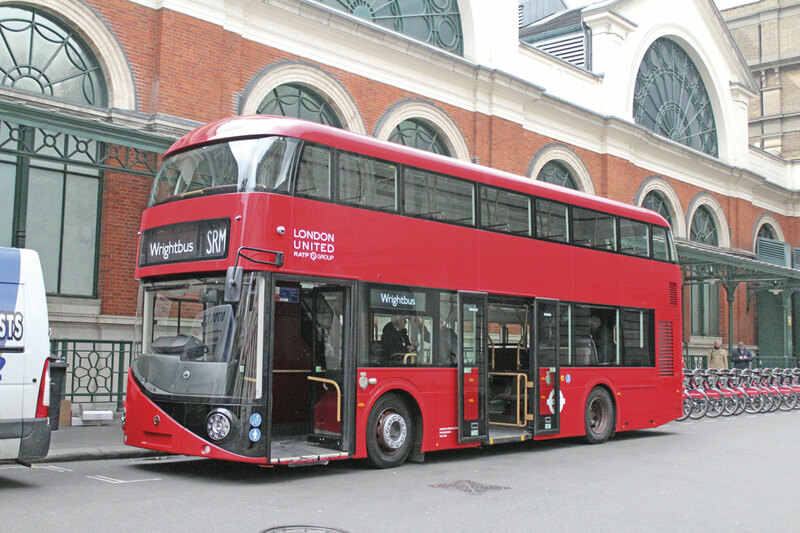 The latest to appear is the SRM, a new body from Wrightbus mounted on a Volvo B5L hybrid chassis and another in a long line of collaborations between the two manufacturers. This one has rather a familiar look about it; that of the Wrightbus built New Routemaster, 720 of which are now in service with another 280 on the way to take the total up to 1,000, an order for 195 having recently been confirmed. 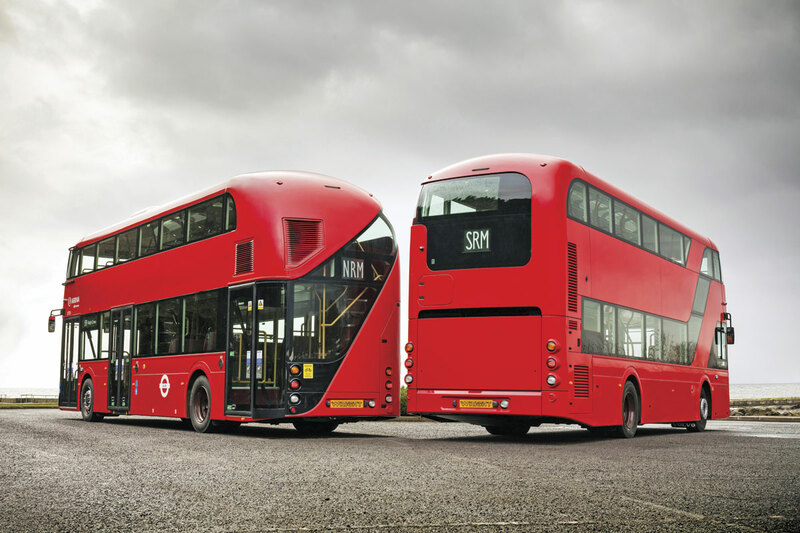 At 10.6m long, the SRM is 0.7m shorter than the 11.3m New Routemaster which makes it much closer to the original Routemaster concept. 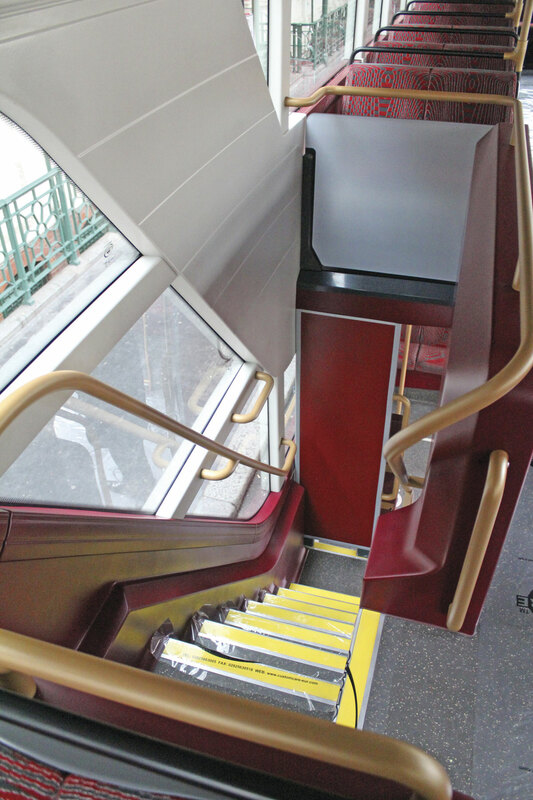 In capacity terms it will offer ‘a minimum of 87 passengers’ of which 66 will have seats. 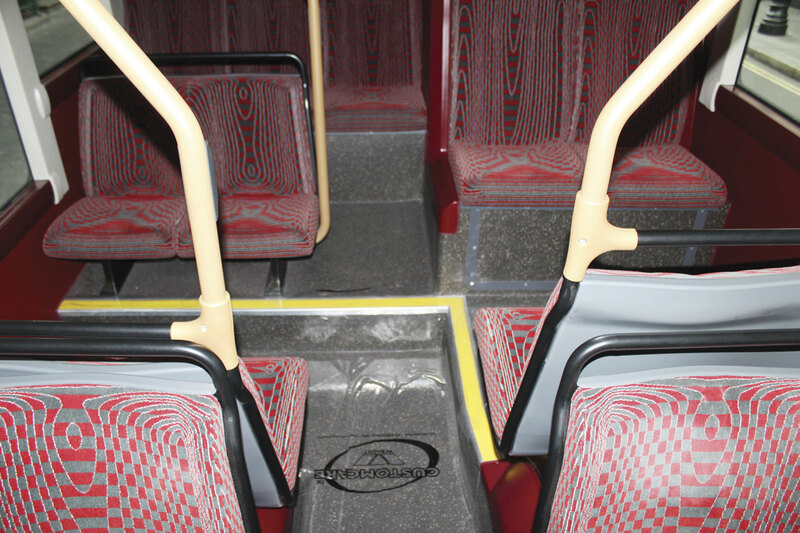 This is four more than the 62 seats of the longer New Routemaster. There are a few final items to be fitted including some ticketing related equipment and the standee capacity cannot be determined until this has been done and the vehicle weighed, though it will not be less than 21. 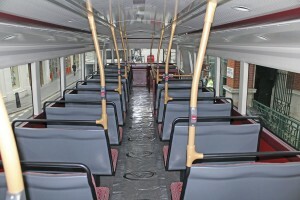 The upper deck accommodates 45 seats and the lower 21. 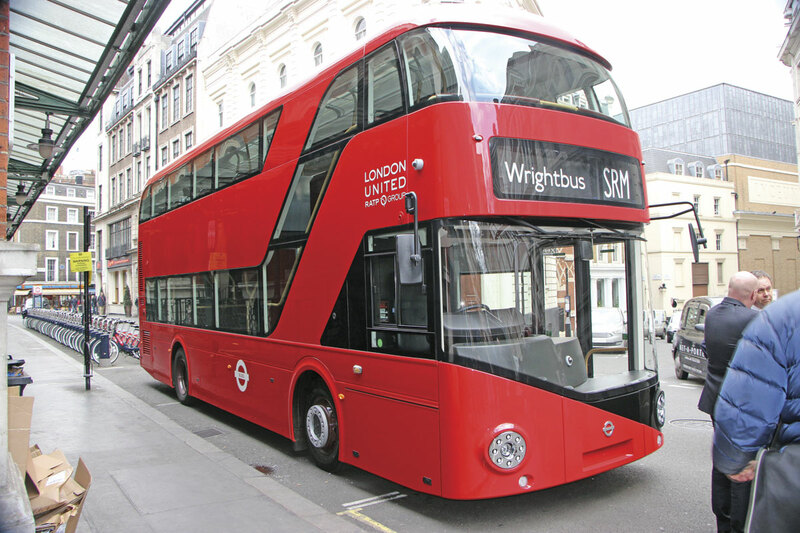 Some assume that the SRM name indicates that it is a Short Routemaster, as well it could have been, but I understand that the designation actually originates from it being referred to internally within Wrightbus as the Son of Routemaster. Structurally there are significant differences between the SRM and the New Routemaster, particularly at the rear end, most of which stem from the SRM being chassis mounted rather than of integral construction. 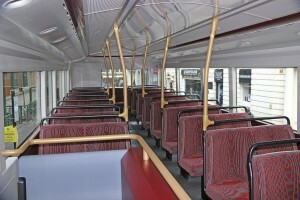 The front has exactly the same distinctive look as the New Routemaster with the same diagonal split on the lower panel and wrap around upper deck screen. The rear section is bolt on rather than structural. On the New RM the engine is mounted transversely on the offside, whilst the power unit on the B5LH is nearside mounted and in-line. 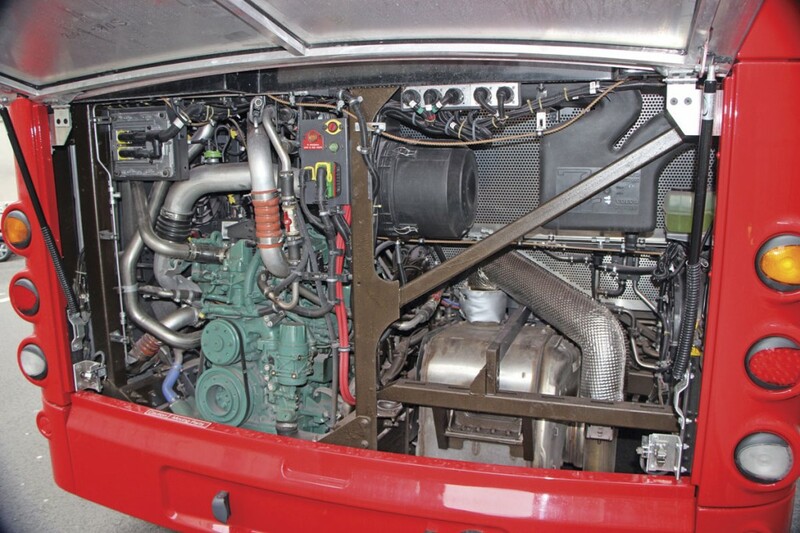 Because of this the cooling system and some other components have to be mounted above the engine on the nearside. This rules out the third door and the New RM’s rear styling with the distinctive wrap round diagonal window, though what the designers have achieved does offer greater symmetry. 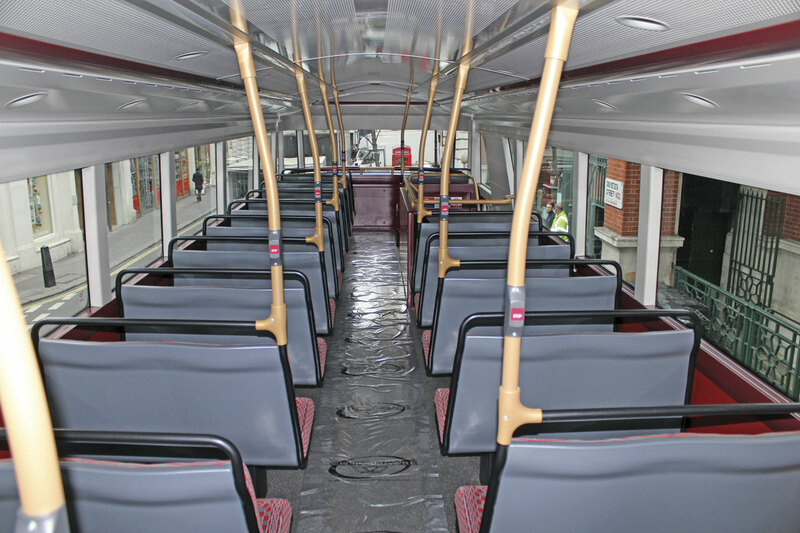 In appearing to continue the upper deck glazing around the rear nearside corner there is at least a nod to the New Routemaster’s look. The rear roof profile is also squarer to allow sufficient headroom for the rear seat passengers and with the more conventional upper deck window the view out in this area is improved, the downside being the absence of a lower deck window. Despite the differences at the rear, commonality with the New Routemaster has been maximised to the extent that there are only 24 new major parts that have had to be created to construct the product. Among these are the rear glazing sections, though the front and side panes are common. 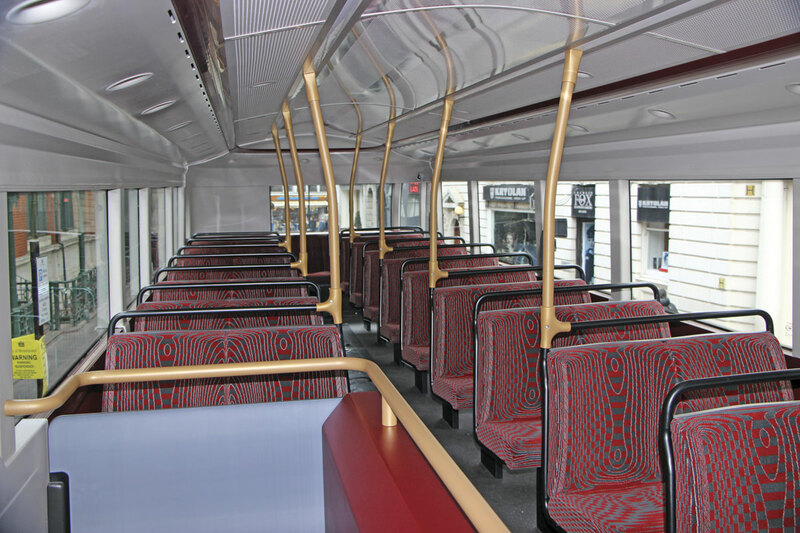 Like the New Routemaster the RATP buses have no opening windows but Ian Downie confirmed that Wrightbus had been working with TfL on a version with opening windows and this was just about to be finalised. The weight will be slightly over 12 tonnes and ‘fractionally’ over that of the Gemini 3, though a final total cannot be given yet. It was thought the difference would equate to one or two standees, though it was stressed that the 87 passenger mark would be met. The Volvo B5LH chassis features the five-litre D5K engine rated at 240hp and the standard Euro6 Volvo hybrid system incorporating the ISAM system. 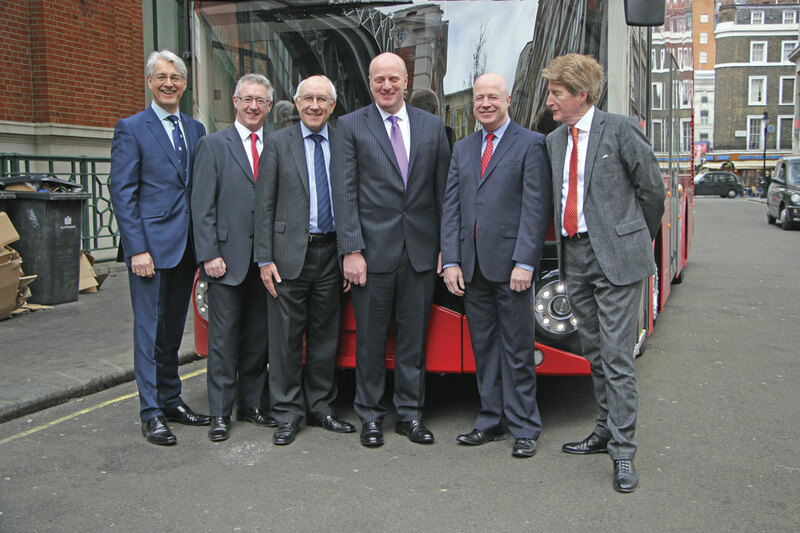 The first six SRMs have been ordered by RATP Dev London and despite the launch bus carrying London United branding they will be allocated to the Sovereign fleet, working the 13 route between Aldwych and Golders Green where they will replace Euro5 hybrids. All will be in service by September. Despite the launch event, there is still a small amount of testing and completion work to be done before the vehicle can be weighed, certified and delivered. 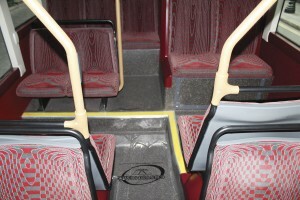 He said that no matter who wins the Mayoral election, the next generation of London buses would incorporate the same features seen in the New Routemaster, though he also said that buying the new features was not compulsory because it was an open tendering process. 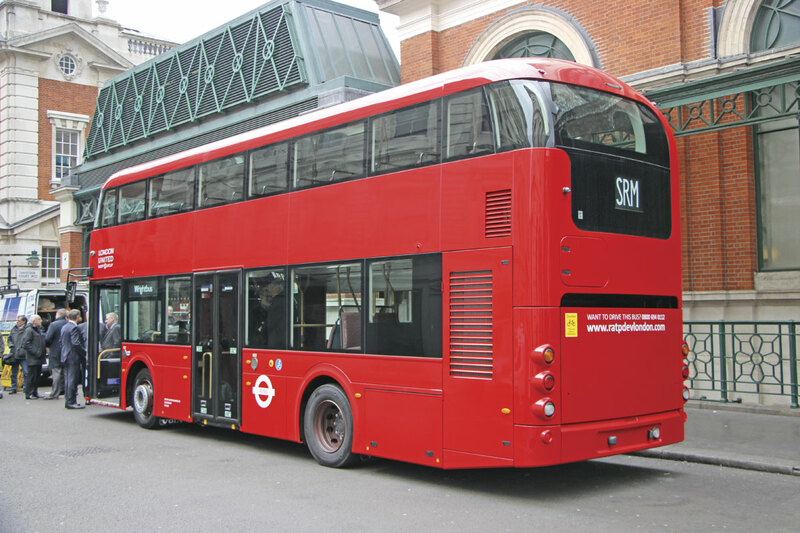 Conscious that difficulties are foreseen cascading New Routemasters, Wrightbus has already developed a conversion kit that will enable mid life conversion of the SRM from dual to single door. 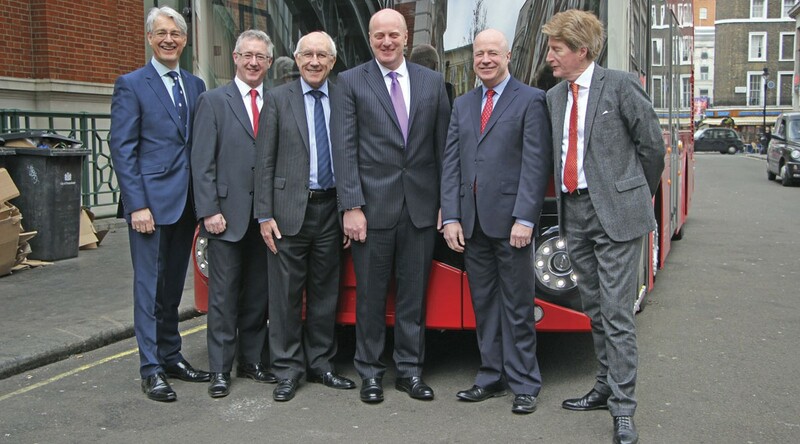 For this reason Leon Daniels said that TfL would not be funding any SRMs. Presumably, replacement of the centre door would increase the total seating capacity by four to 70. No other SRM orders have yet been placed but there is said to be considerable interest, some of which is for provincial variants. Availability is pretty much immediate. ‘We can’t wait to start building them,’ said Mark Nodder. 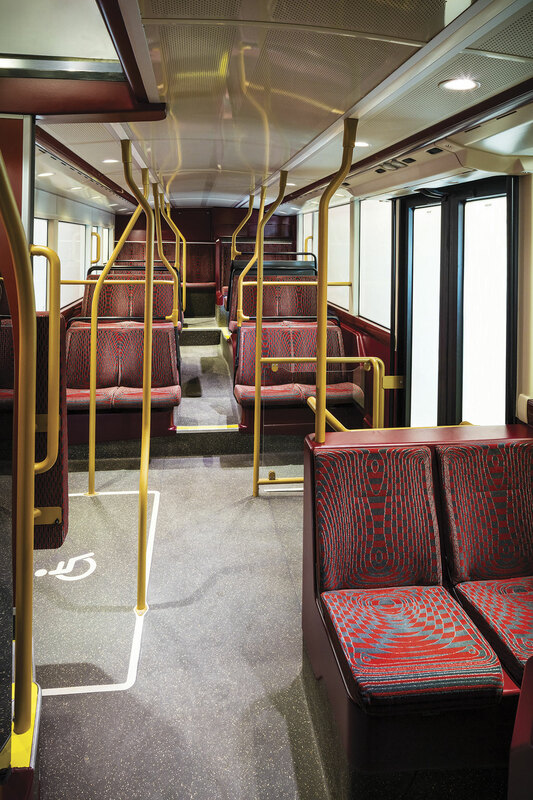 Another future possibility under consideration is offering the same body style on Wrightbus’s own Streetdeck double deck chassis. 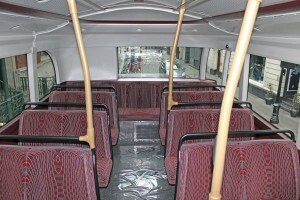 As I looked at the new SRM, I couldn’t help thinking that this was the bus that London should have had to begin with. Popular though the research says it is with Londoners and a good many others, the New Routemaster has some fairly major shortcomings, notably that it is longer than it ideally should be, has an arguably unnecessary rear platform and set of doors, and the ventilation system struggles to cope with three separate doorways. There is also the issue that TfL had to finance it because operators don’t see an ongoing role for it elsewhere in the country after its first life in the capital is finished. None of these factors should be an issue with the SRM. It makes you wonder why TfL didn’t order 200 of these rather than the latest batch of New Routemasters, especially as, according to its own arguments, their cascadability means it wouldn’t have had to directly pay for them?